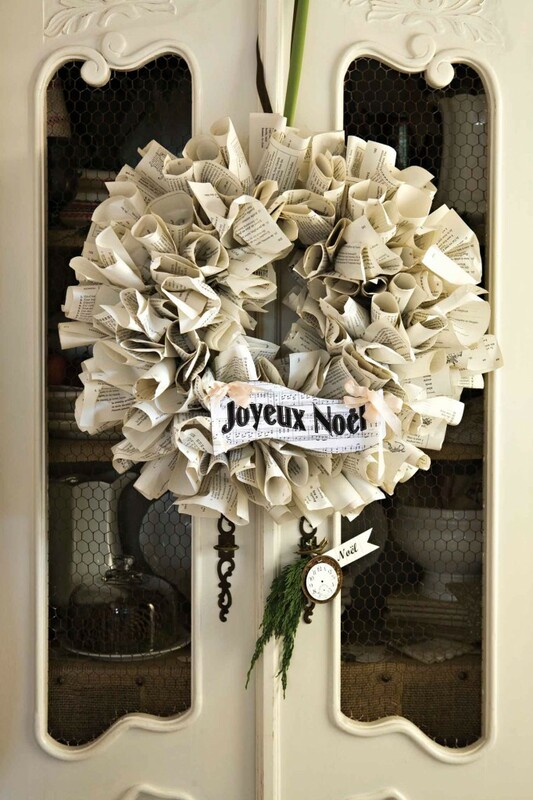 Mix recycled and new items to create a stunning, well-read wreath. Designing with paper has been a longtime passion of mine. Recently I wanted something to go with my Country French theme. 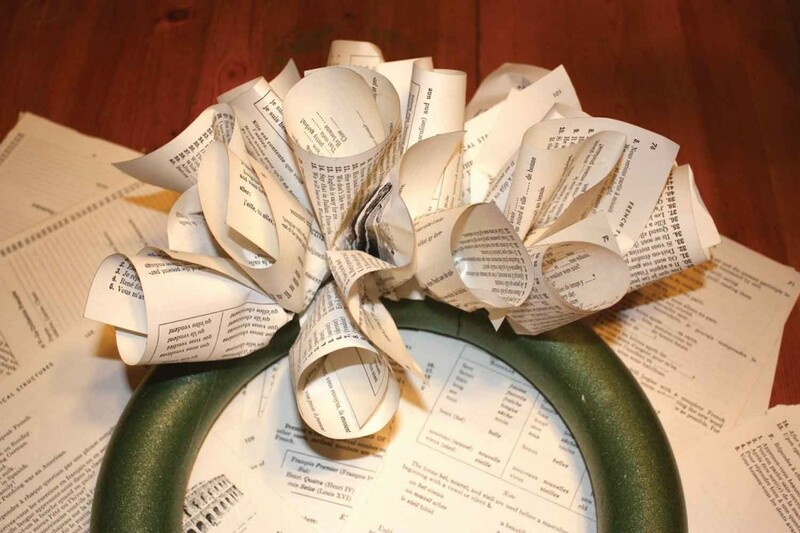 Using a vintage, unbound book, I created a wreath that looks great anywhere in my home, and I can update it with different embellishments each year. 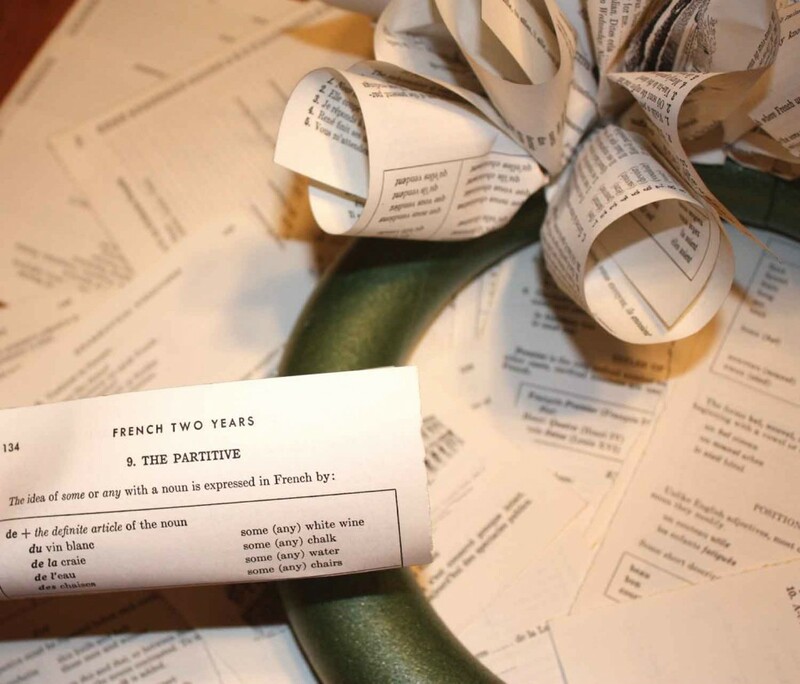 This French Book Paper Wreath is such an easy project, you can’t make a mistake. Remove pages from the book. 2. Roll each page as shown in (a). 3. Scrunch in the edge of the page with your hands as shown in (b). 4. Place glue on the scrunched-up bottom of each roll and glue onto the base. 5. 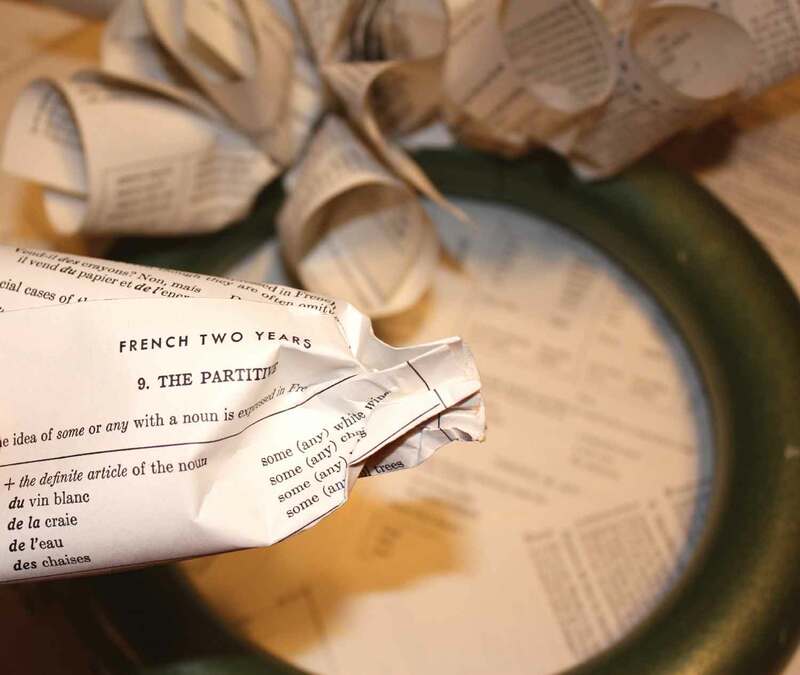 Cover the form with glued, rolled pages until the base is completely covered. Glue edges and add glitter to the banner. Punch holes on each side with a hole punch. Thread ribbon through holes and tie in a bow. Alternately, you can attach ribbon with glue and make a pretty bow. Glue the banner to the wreath with hot glue.